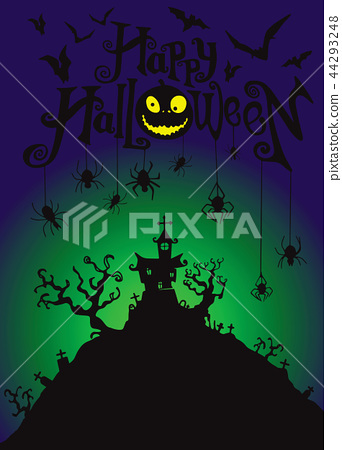 Halloween night background with pumpkin, haunted house . Flyer or invitation template for Halloween party. Vector illustration.